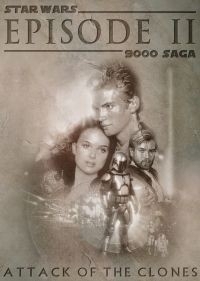 This SW Eps 2 fanedit takes from all so well known fanedits the best and combines these ideas to one great watching experience. Film has been trimmed, added to, and reworked to improve overall quality, and help the story function without altering any crucial elements. All in a all, a somewhat conservative Star Wars fan edit. This is an old edit, done in 2007ish. You are probably looking for the newer one, The Approaching Storm. - Removed Typho’s “Friday The 13th” line. - Removed Jar-Jar’s greeting at the elevator. - Trimmed various bad Anakin dialogue. - During the speeder chase, removed the shots of alien drivers. - Removed Anakin’s nosedive and flying through power couplings. - Tightened Anakin’s dive for Zam’s ship. - Removed the scene with Yoda in his hoverchair. - Cut Jar Jar being himself. - Removed Anakin’s tantrum about Obi-Wan. - Reinstated the droid alalysis deleted scene. 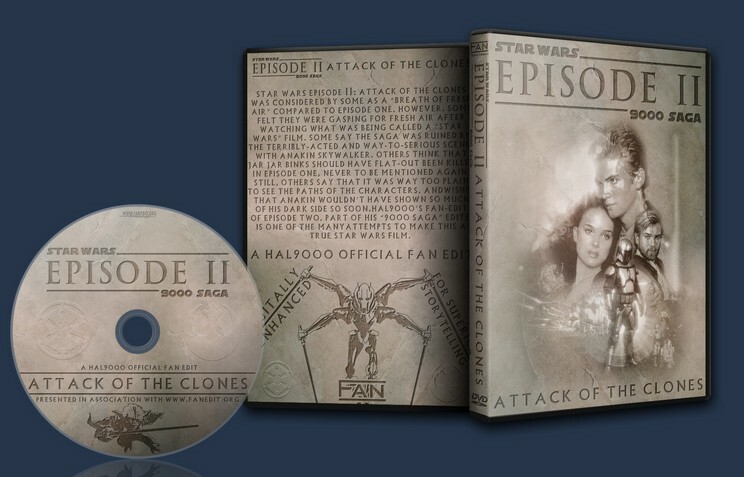 - Reinstated the extended arrival on Naboo, the Hangar Platform, and Padme’s Family deleted scenes. - Clipped Anakin’s take on sand. - Removed the picnic scene. - Tightened the fireplace scene. - Added some clips of Anakin’s mother from Episode I to the dream sequence. - Completely removed the asteroid dogfight. - Totally removed the droid factory sequence, replacing it with the two deleted scenes that were originally supposed to be there. - Any footage of R2 and 3PO from this point onward is cut. They no longer appear in the battle scenes. - And a few new surprises and tweaks.